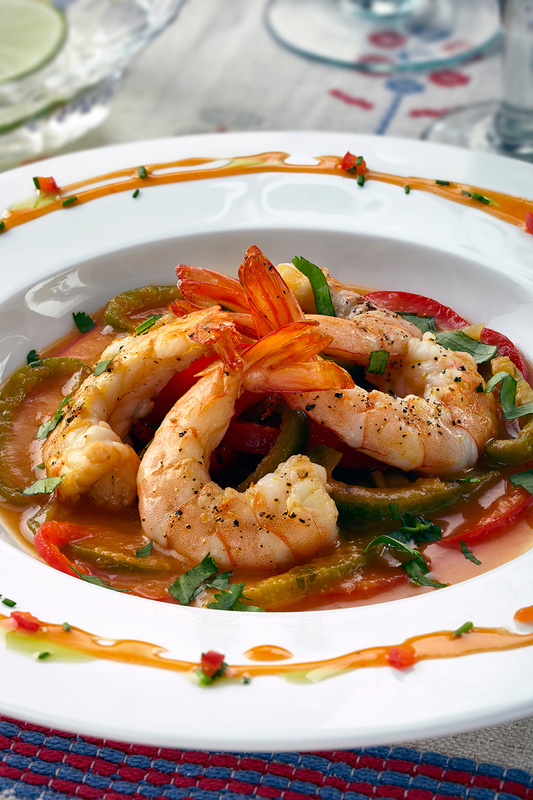 Shrimp Veracruz; jumbo prawns in spicy tomato and bell pepper broth. A food photograph of an individual portion of seafood. 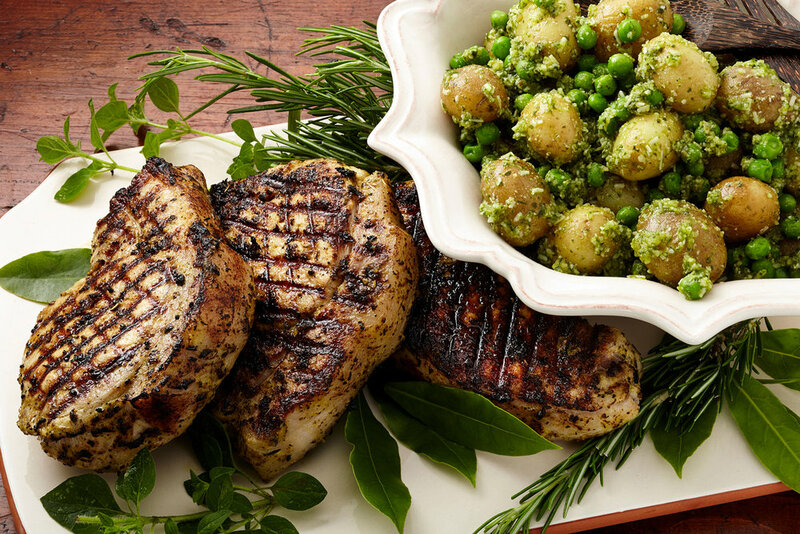 Pork loin chop served with peas and potatoes in pesto sauce..
A horizontal food photograph of serving dishes. Carving a boned barbecued butterfly leg of lamb cooked with a spicy honey mustard marinade. 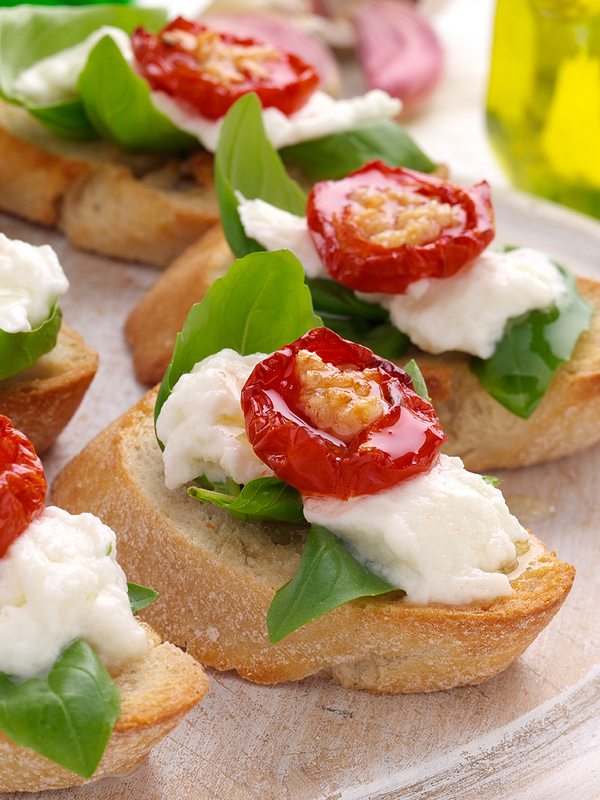 Italian bruschetta, toasted French bread slices with Burrata Mozzarella cheese topped by a cherry tomato slice. A food photograph of a Mediterranean style whole roasted chicken with roast garlic and lemon halves, cooked with bay leaf and thyme. A food photograph of Japanese teriyaki chicken kebabs on skewers with a bowl of rice and salad. 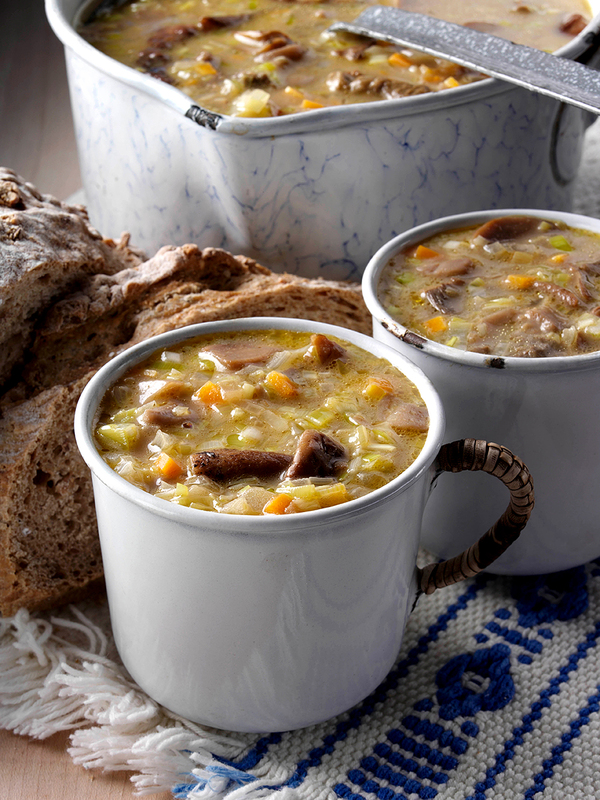 A vertical, editorial food photograph of enamel mugs full of Polish mushroom soup with a saucepan and a ladle behind. A food photograph of a slice of lemon cheesecake with ripe cherries and blueberries. 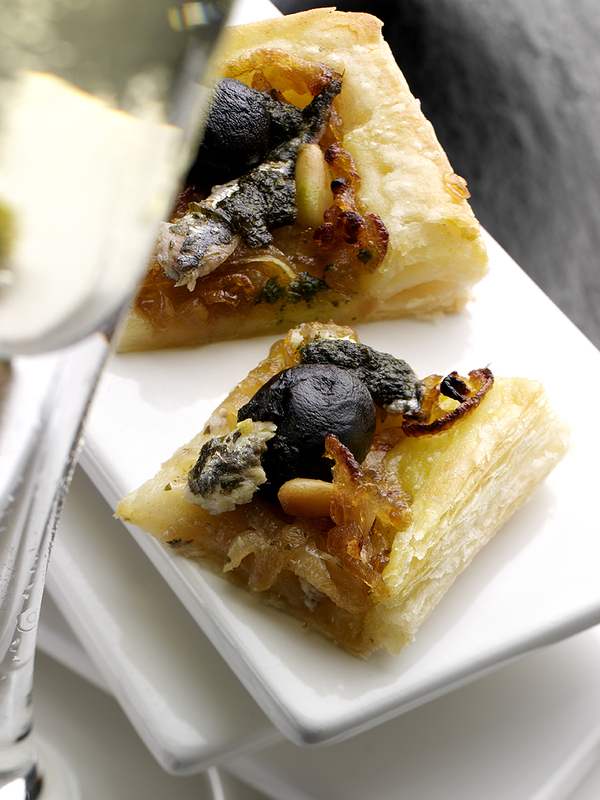 An individual portion for dessert. 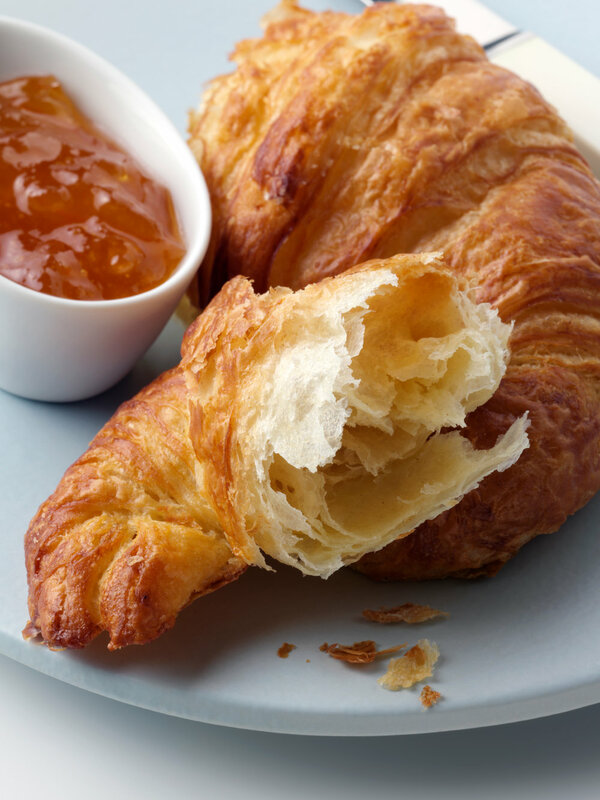 A continental breakfast of a flaky pastry croissant broken open and some orange confiture. A perfect way to start the day. Slow roasted pork belly with spring greens and mashed potato. 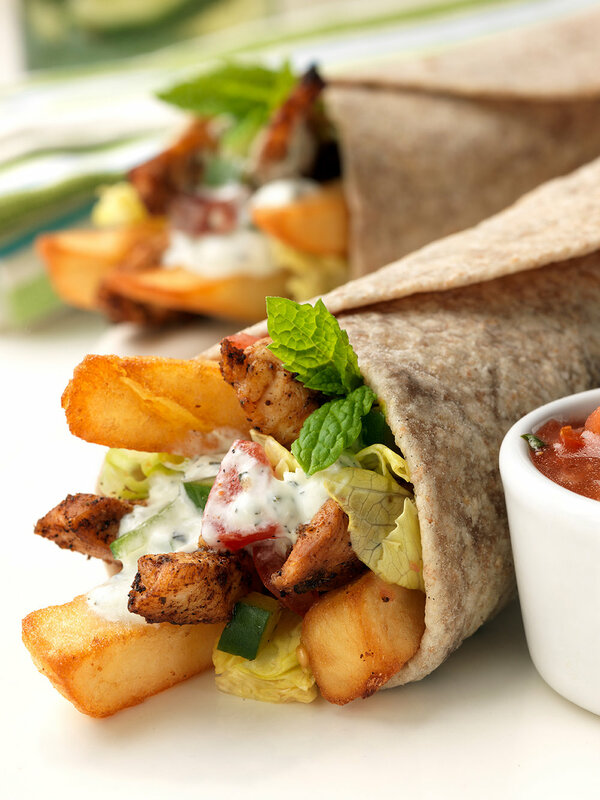 A food photograph of an individual portion ready to enjoy. Slices of lemon drizzle cake, home baking inspiration. Italian mushroom and spinach frittata cooked in a black frying pan with a slice resting on a wooden spatula. A food photograph of home baking, a slice of chocolate fudge cake with heavy cream and chocolate sauce dripping down. Ham quiche, a pile of stuffed focaccia, a jug of iced pink lemonade, a bowl of salad with a summer berry roulade dessert on a table out in the garden. Ravioli pasta with cherry tomatoes and tomato sauce., basil and Parmesan cheese. A food photograph of Makhani vegetarian curried kebabs, paneer, zucchini, egg plant, and onion with salad, mango chutney, poppadoms and a bowl of raita. A food photograph of Semifreddo, a dessert with passionfruit, mango, pineapple and ice cream. A food photograph of micro waved bangers and mash in a mug. 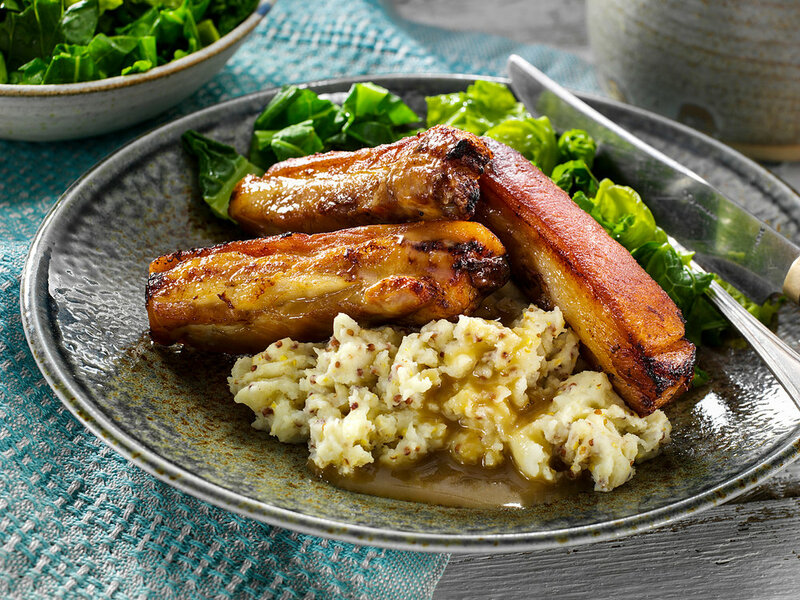 Chipolata sausage with Maris Piper mashed potato and tomato ketchup, a single serving. 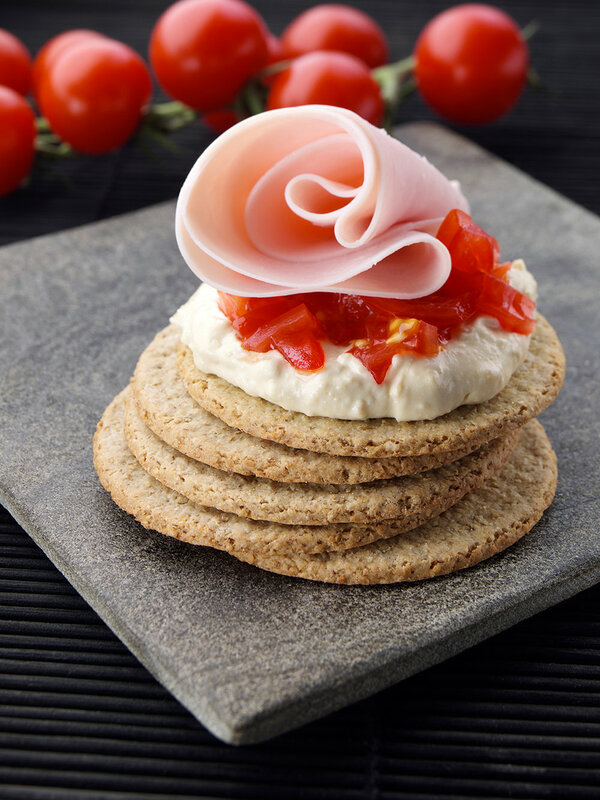 A food photograph of a ham canapé with cheese on crisp bread. A food photograph of restaurant style roast beef with mushrooms, zucchini and tomatoes. A food photograph of spelt Fusilli pasta with cucumber, sweetcorn, capsicums and tomatoes. A food photograph of Mexican guajillo chili ketchup in a pottery bowl with guajillo chillies, cherry tomatoes and garlic cloves. A food photograph of wild rice salad with wild rice, fennel, spring onions, cucumbers, grapes, chopped nuts, tarragon and orange zest dressing. Italian zeppole wrapped with prosciutto. Deep fried Italian fluffy pastry beignets stuffed with mascarpone cheese and wrapped with ham. A food photograph of Mediterranean baked frittata in individual pans made of potatoes, red onions, mozzarella cheese, eggs, arugula and pine nuts. A food photograph of grilled chicken breast chunks with feta cheese, pecans, poppy seeds and strawberries.